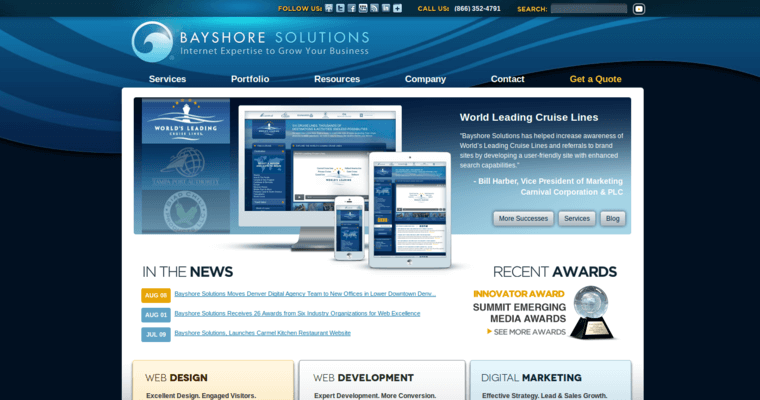 Bayshore Solutions is a web designing firm that specializes in using digital media and applications to help people grow their own business. 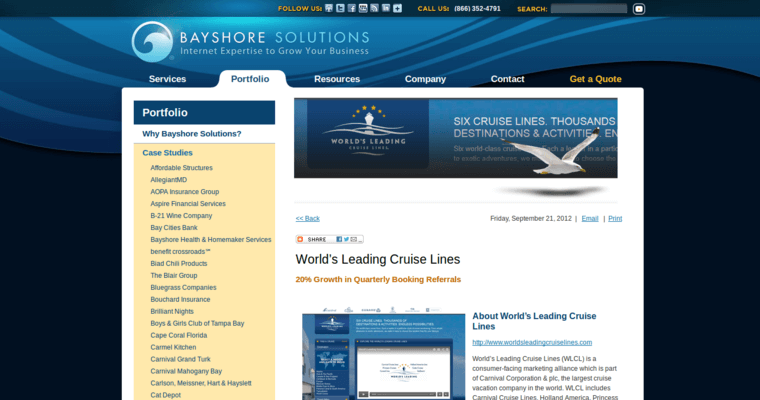 Bayshore Solutions has branches in Tampa, Denver and Miami and is billed as a digitally-driven and results oriented group that enjoys using creativity to help a client reach their goals. 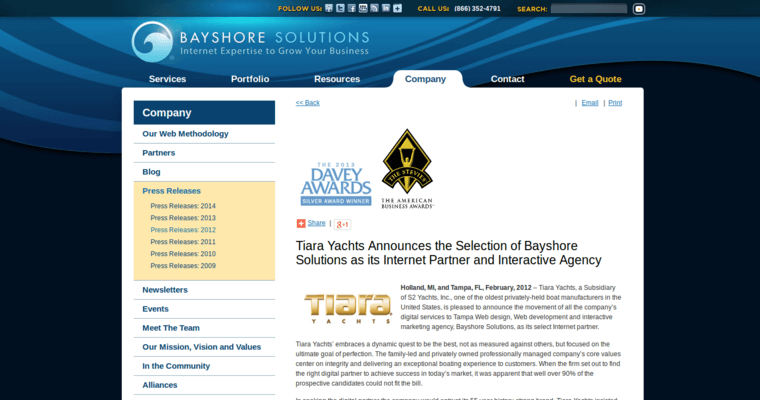 They are able to deliver all of the technology and marketing expertise and have been doing so since 1996. Teamwork, quality production, commitment and integrity are all virtues heavily emphasized by the agency and shown through their many services, such as website development. Website development is the most important, since it is their main forte and because having a professional website that works can mean the difference between success and failure. Digital marketing is also a crucial aspect because being able to sell a brand will no doubt grab the audience's attention. This will inevitably build bigger audiences.